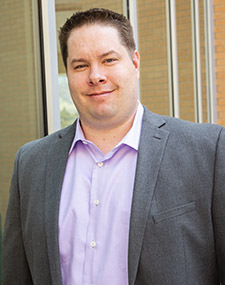 Matthew Jaremski is an Associate Professor of Economics in the Jon M. Huntsman School of Business at Utah State University and a Faculty Research Fellow of the National Bureau of Economic Research. Matthew received his Ph.D. from Vanderbilt University in 2010. Before joining USU, he was an Associate Professor of Economics at Colgate University and held visiting positions at Yale University and the Office of Financial Research at the U.S. Treasury. His research focuses on understanding the financial dynamics that underlie or follow macroeconomic events by looking at the U.S. financial system before World War II. The historical period provides a unique environment for studying the financial system as the majority of banks were regulated by their state legislature, printed their own money, were highly susceptible to bank runs, and had little ability to receive emergency liquidity in times of distress. His research has been published in leading academic journals in both Economics and Finance including the Journal of Finance, Journal of Financial Economics, Journal of Money, Credit, and Banking, and Journal of Economic History.